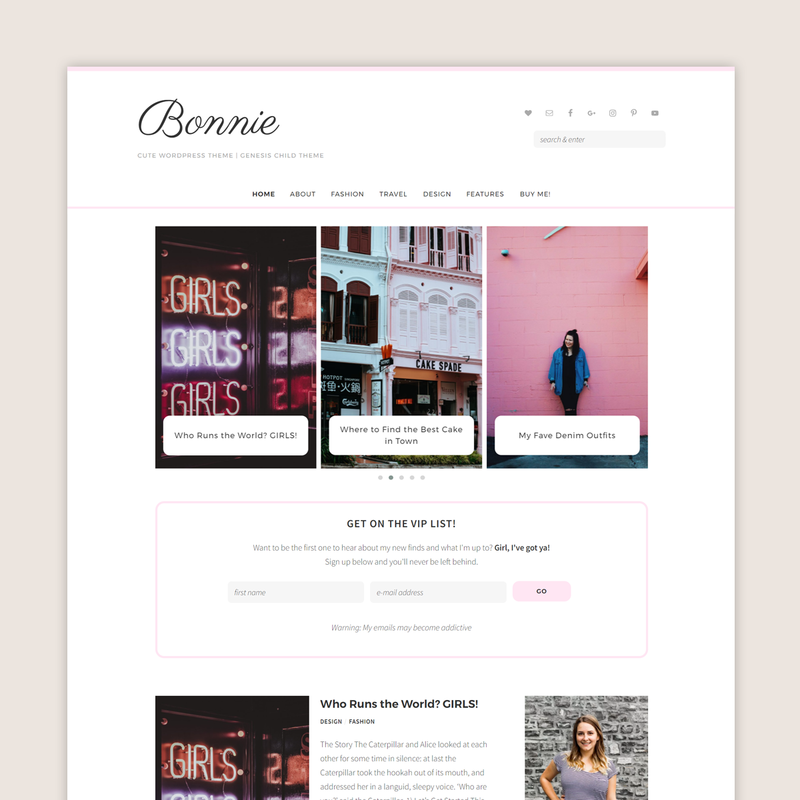 Bonnie is soft, minimalist WordPress theme that lets you be the best version of yourself. 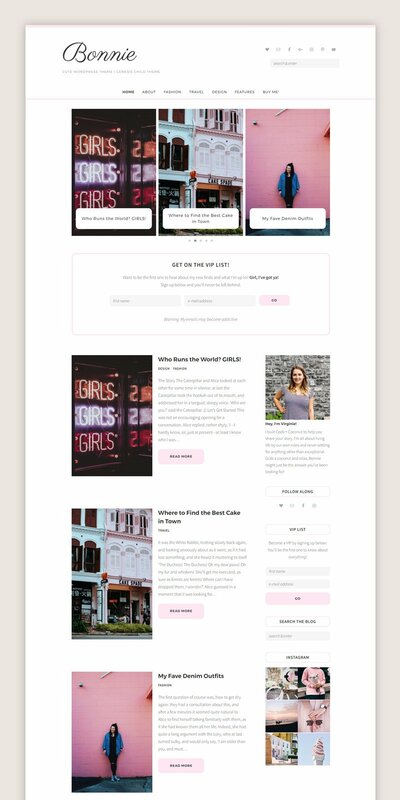 Want to give a romantic feel to your blog? This is the perfect theme for you! And to make it even better, Bonnie is customizable! Which means you can edit her colors as much as you’d like. Plugins are an amazing way to add functionality to a website! We have a few favorites, and made sure to integrate them with Bonnie! Simple Social Icons, Instagram Feed and Jetpack are a few of those! Lifetime updates of the Bonnie theme.